Odd blend of tunes and tones... and frequency whatnots... culled from various Omega projects. Fun collectible issued around 1959(?). 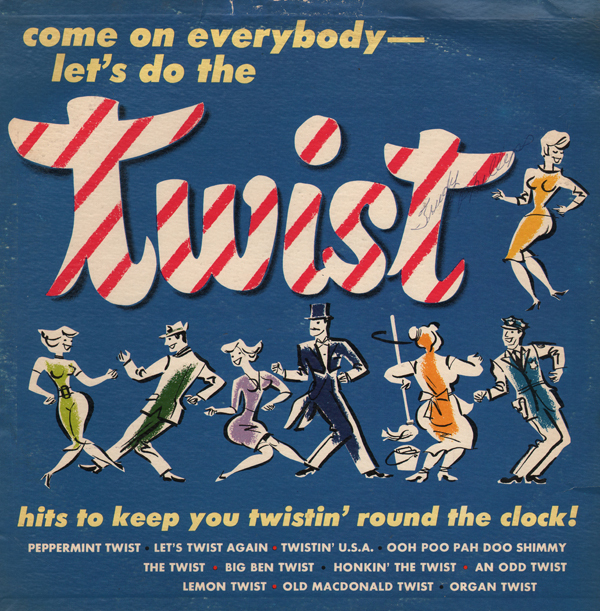 One of a number of "twist" albums that tried to capitalize on Fats Domino's twist dance craze. From the December 5 Billboard: Almost anything with the name Beatles on it is bound to sell these days. The Johnny Mann Singers take the non-frenetic approach to Beatlemania. The well-known tunes are softly and easily performed in an equally easy-to-take tempo. 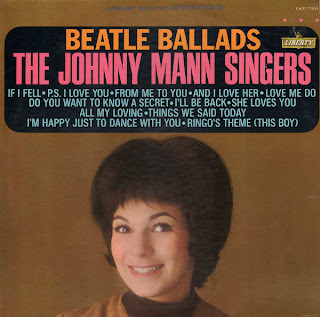 It's more Beatle music for those who don't like the Beatles. Featuring another obscure covers album on a budget label. Budget label, Diplomat, offers up a hot model on the cover of what turns out to be a super fun album! Total 60s groovy light pop, each tune as fine as the one before it. 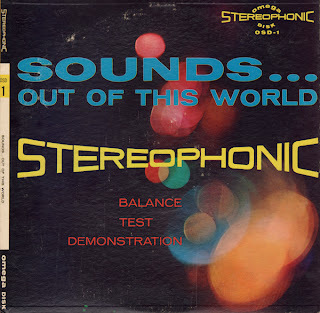 This is a somewhat obscure album. I couldn't find any information online to explain who Busby Lewis was. I think Lewis may have been a made up name and the group is a session band. Although Lewis certainly may have been involved in the session somehow. The songs seem to have been created by the same group with the exception of three nice light Latin tunes that are completely different in sound and added as filler. From March 9, 1959 Billboard: Haitian Subri Moulia, a student of primitive music, and his Equatorial group, do an interesting job on primitive rhythms and chants. Disk includes Haitian, Brazilian and South American chants. The Billboard artist mention isn't found on the jacket. The music found on the B side is music that I have heard on a number of "jungle drums" albums released from various labels including Promenade titled Taboo. The music also appears on a Silver Seal pressing as Taboo. 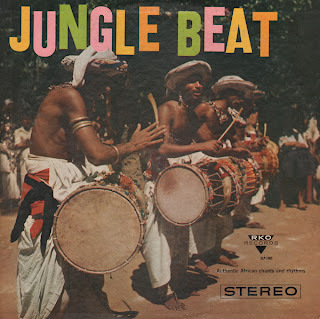 I also believe the recording appears on Pirouette as Congo Percussion. The music is on both sides is terrific. The mystery is how those side 2 tracks seem to have made the rounds in the late 50s. Here's another fun and obscure 101. The more interesting tunes can be found online purchase/download. So I will not be posting a sample. Groovy tunes include The Beatles A Hard Day's Night and I Want To Hold Your Hand. 101 also rocks out the Theme From Peter Gunn. 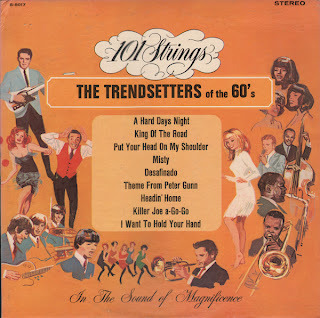 The closing track on side two, Discotheque is also totally light 60s mood fun! Apparently Torrent spent much of most of his long career as an organist working for The Chicago White Sox and The California Angels. From the back cover: Remo Biondi plays guitar, violin and mandolin at various places in this album. The sound is solid since Remo worked 5 years with Gene Krupa's Orchestra as guitarist and arranger and has written music for movie productions and recordings. He is heard on recordings with many of the country's finest bands and vocalists, as well as his own orchestra. 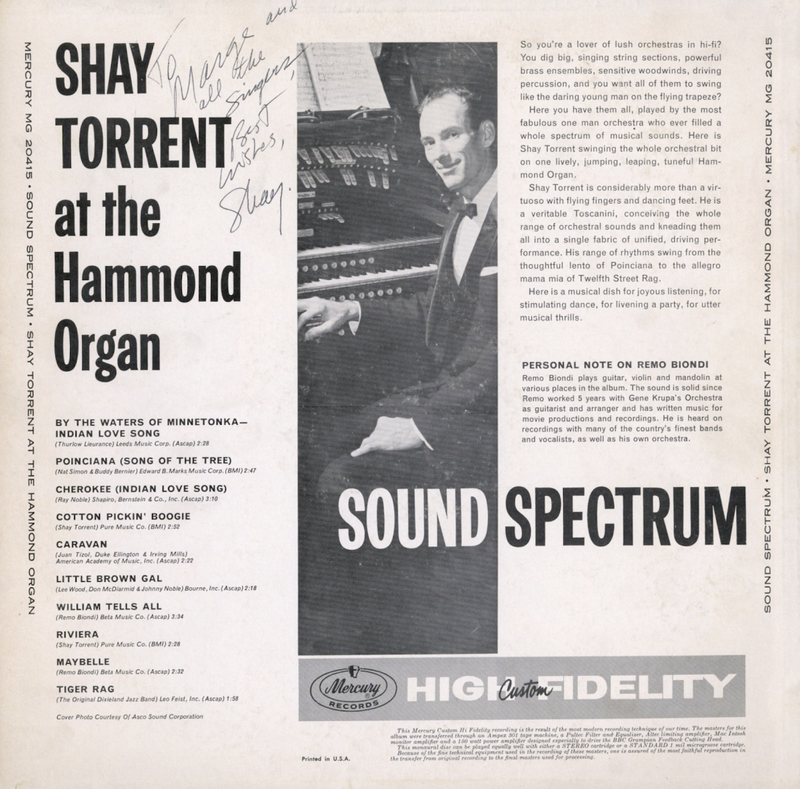 From Billboard - August 29, 1959: Here's a sock package of swingy organ solos by Torrent at the Hammond Organ. Torrent plays a group of catchy standards and originals with a fine beat, including "By The Waters Of Minnetonka," "Poinciana," "Tiger Rag," "Caravan," etc. Good stereo sound values. This is a curious and somewhat hard to find Enoch Light album. 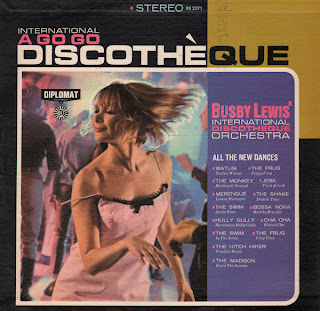 First, I'd thought I never stumble across a Light album featuring a number of DISCO tracks! 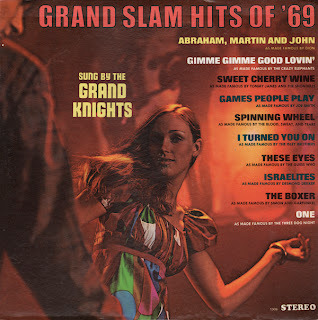 And second, this album is curious because it doesn't jive with his wiki page info: Light continued recording after the sale of Command with a new label called Project 3, but did not concentrate so heavily on stereo effects. 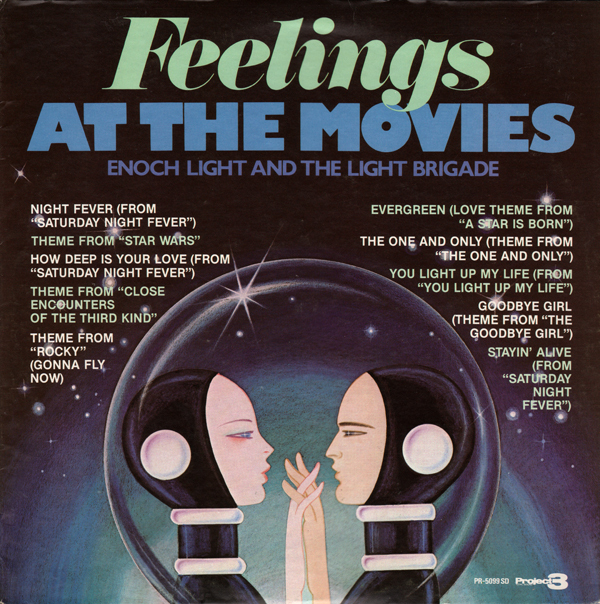 Light recorded several successful big band albums with his earlier established band in the Command days Enoch Light And The Light Brigade, using the original scores, keeping the arrangements as close to the original as possible. He retired from music entirely in 1974 and died four years later (July 31, 1978). So this album was made after Light "retired entirely from music"? Tony Mottola and Jeff Hest are credited as associate producers. Jeff Hest is credited for the arrangements. If you follow my blog you know how much I love Light's work. I mean... I always say glowing things about his stuff. But I have to be honest... this album is really... oh man... not good. But the sample above is so bad, it's good. Valley Of The Dolls And Other Academy Award Hits! From Billboard - August 10, 1968: Here's another big one for the Strings. Selections include, in addition to the title song, themes from such hit films as "To Sir With Love," "Bonnie And Clyde" and "Talk To The Animals" from Doctor Dolittle. The performance is lush as ever. 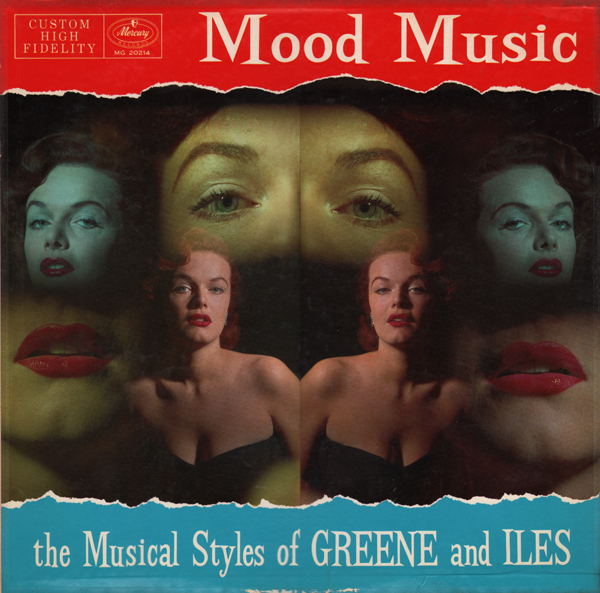 Here's a somewhat obscure album featuring a wonderfully mysterious cheesecake cover. From the back cover: Eddie Greene and Stephen Iles have been playing together as a phenomenally successful team ever since (since they met in the dining room of Buffalo's Sheraton Hotel). 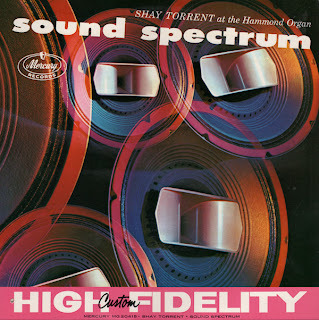 Their freshness of style, unfailing good taste and extreme fidelity to the highest standards of musicianship have brought them the highest of professional compliments: extended runs – not days, but months at a time – in the toniest of dining and cocktail rooms of the swank Sheraton Hotel chain. A few tunes, including the sample I posted above, are percussive and suggestive of Korla Pandit's style. They could easily have been exposed to Pandit's work earlier work. 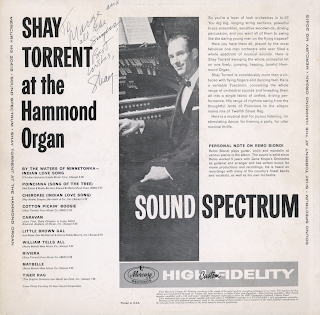 All of the songs have subtle touches that help raise the tracks above the standard period organ fare.